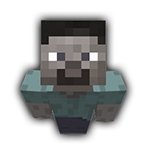 Rosleen - Viewing Profile: Profile Feed - SixtyGig - The Minecraft server for mature gamers. So excited to see our new peeps online! APP REVIEWS ARE A WEEK AWAY! (This keeps happening??) BUMP your APPLICATION if you want to be considered in the upcoming round! If you want your APPLICATION to be considered in the upcoming REVIEW, please give your application a BUMP ! Sending you all a thought from a cold and wet january. HOW ARE YOU ALIVE RAY!!!! REMEMBER TO BUMP YOUR APPLICATION IF YOU WANT TO ME CONSIDERED IN THE NEXT ROUND! Mine's a Whisky, Irish preferred - what's your poison? Review day is, apparently, 4 days away! Give your APPLICATION a BUMP if you're still interested! You've gotta put in more effort! Some people just don't fit in sorry.